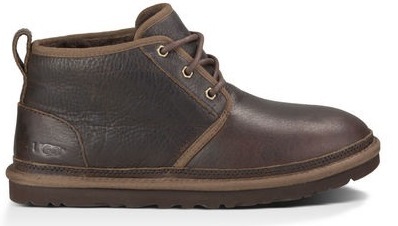 The Neumal is a versatile chukka with all the comfort and warmth of the Classic Boot. No wonder it's a bestseller. You can purchase these men's shoes in leather or suede. Can you guess what each version is called? Yes, the Neumel Leather is made in leather and the Neumel Suede is made in suede (yes, you are correct that suede is leather. It's actually a leather with a napped finish. What is suede? Find the answer in the fabric definitions section here on Apparel Search). Below is the leather version. Can you guess the color of the brownish shoe above? UGG calls this color "China Tea" if you were curious. Signature UGG® comfort and a low profile outsole update the classic chukka. Constructed from rich full-grain leather and lined with luxurious wool, the Neumel is an understated style to reach for every day. 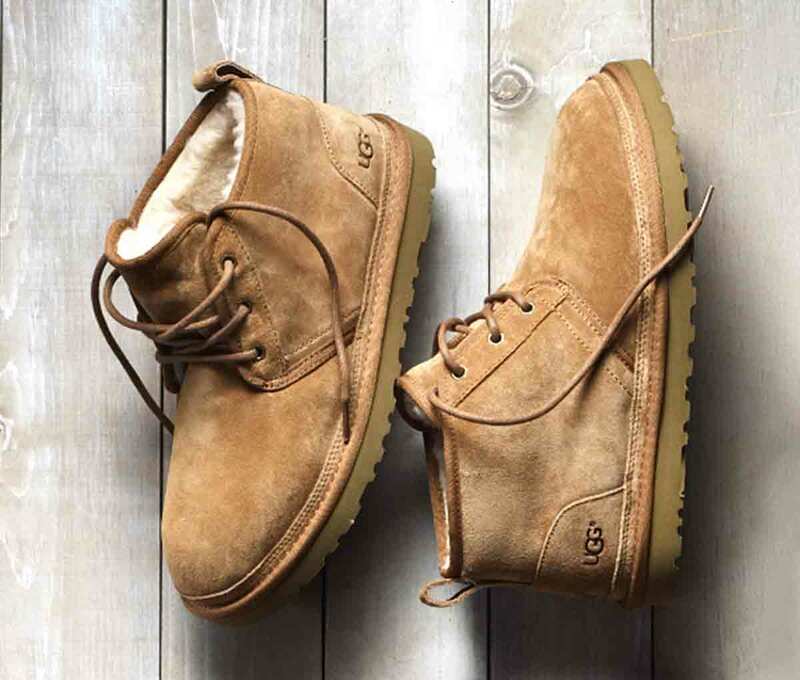 Learn more about these men's boots on the UGG Australia website. Find out more information about these hybrid casuals with classic boot comfort. If you are interested, you can visit a store and try on the Neumel to see how they fit. For you ladies, you may want to check out the Ugg Classic Luxe.